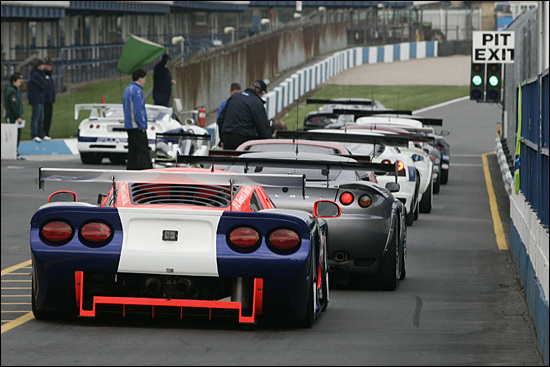 The season’s second pair of double header 60 minute races around Donington Park’s challenging National circuit would show much promise, but sadly little in terms of results from the #44 Eclipse Motorsport Mosler MT900R, and the emerging talents of brothers Craig and Elliot Cole. Qualifying saw 22 year old Craig take an excellent third spot on the grid for Saturday’s race with a time (1:11.498) good enough to briefly hold provisional pole position, but which eventually would prove to be just two tenths of a second short of the required pole position mark. The second session saw his 19 year old brother Elliot fall just three tenths of a second short of his brother’s benchmark, but although he too would briefly hold provisional pole position, the second session would prove to be a much tougher test and his time would be good for only 13th on the grid for Sunday’s race. Race 1 featured three cars storming away from the pack and whilst Craig Cole was the third of that trio on the road, he was chasing the leading RPM Viper and Barwell Aston Martin very hard indeed, looking for the first available opportunity to squeeze by. The gap from first to third see-sawed from lap to lap, but remained at less than three seconds for the first eight laps. By the end of lap eight, the gap from third to fourth had grown to 14 seconds. 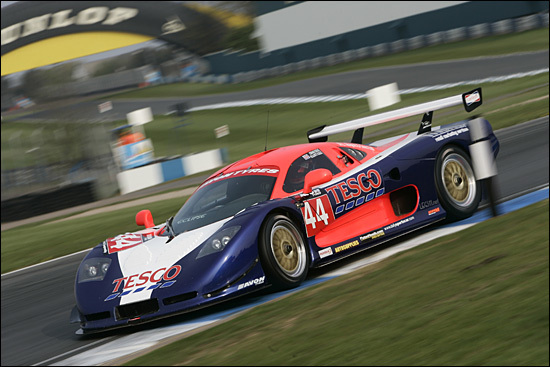 But on lap nine, the Tesco-backed Mosler suddenly slowed and headed for the pits. To the team’s immense frustration, the problem was wheel related and the same one as had occurred at Oulton Park. Indeed, the Mosler rejoined almost in the same position on track that it had pitted from, albeit now almost two laps down. Craig was able to match the pace of the leading pair right through to the end of his stint, handing the #44 car over to an equally frustrated Elliot, who continued to lap very quickly indeed until the end of the race. 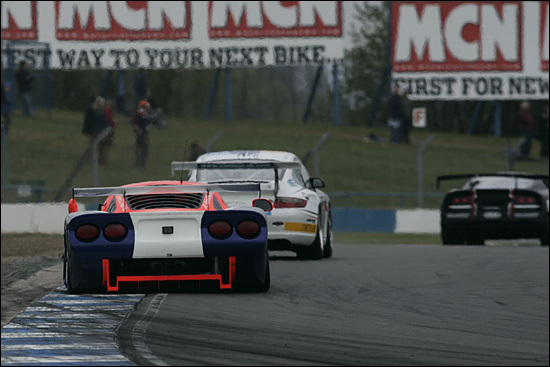 The Mosler’s finishing position belied the promise shown by the run – but for a(nother!) broken wheel the Eclipse boys could have broken their 2007 podium duck. 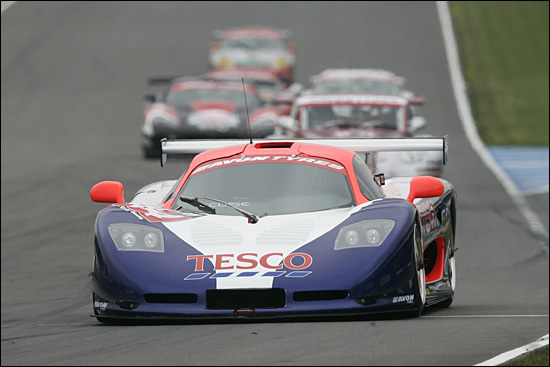 They might well have done on Sunday too, but for a second, freak problem for the red and blue Mosler. Elliot started this one, and was cracking along in a competitive 14th – competitive against a whole host of more experienced drivers. He passed the #7 Porsche on lap 10, and was staying ahead of one of the thundering V10 Vipers, and within touch of the other two. Ten laps gone and he was 22 seconds behind the leader: with Craig set to have an easier time of it in part 2, a good result beckoned. Elliot’s best lap came on lap 12 – but a lap later he was coasting into the pits. The alternator belt had popped off, which simultaneously took out the water pump, and the engine overheated within moments. 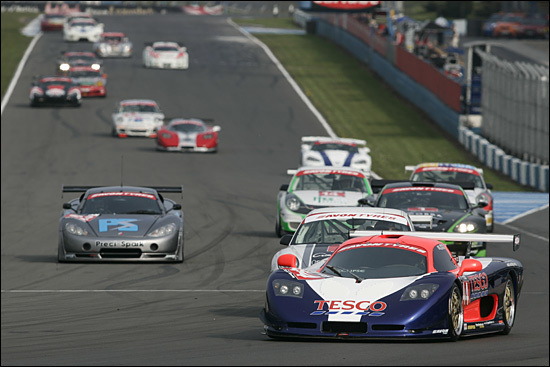 The next chance for the brothers to show their British GT form will be at Snetterton, the first weekend of June.